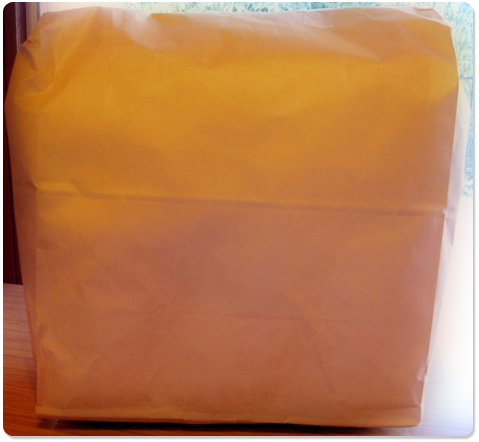 What’s on my Table or What’s in the Bag? Yes! Yes, it is full of yarn! Glorious yarn in many colours including the shades of pink and white yarn that I need to complete my first granny square blanket. Ah. 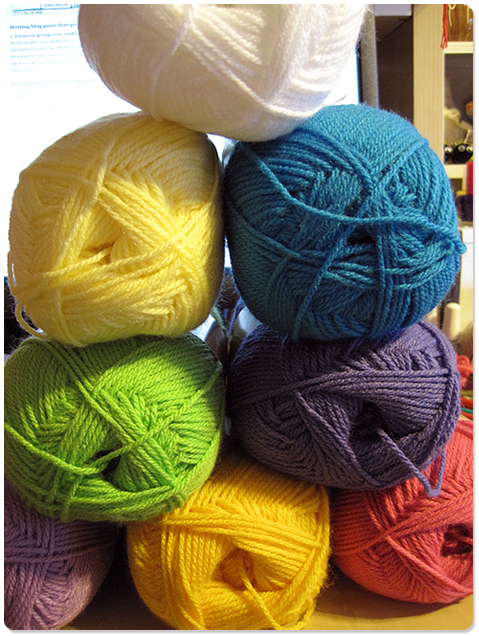 Now I can play with crochet motifs in many colours. 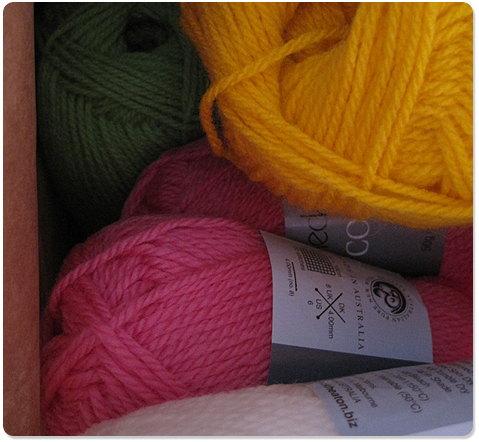 And feel content that I finally found more hot pink yarn, after many weeks of searching. I was about to enjoy a cup of tea while writing this post, however I took one sip and felt ill. I may have over-tea’d myself lately. At least with plain black, milky tea. The drain enjoyed that cup. I think I shall have a glass of apple juice instead. Do you ever over-tea yourself? What is on your table? Join the lovely Joyce’s meme! Gorgeous colors! That will be a beautiful blanket.